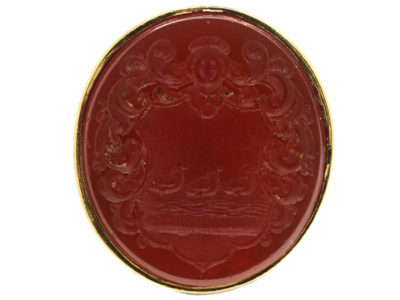 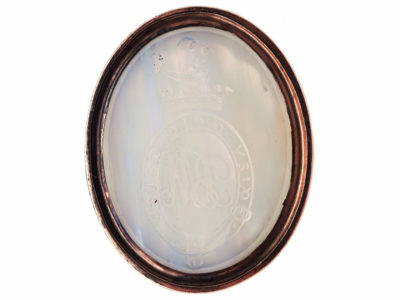 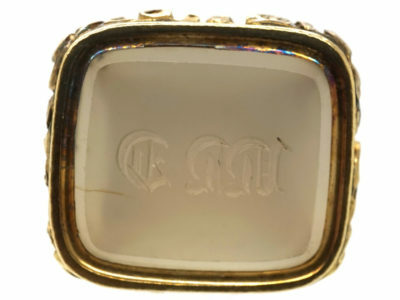 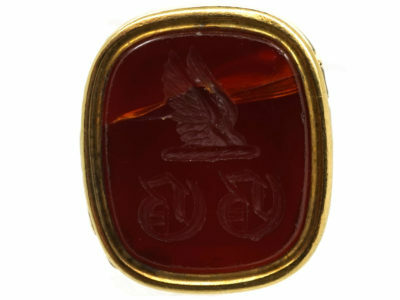 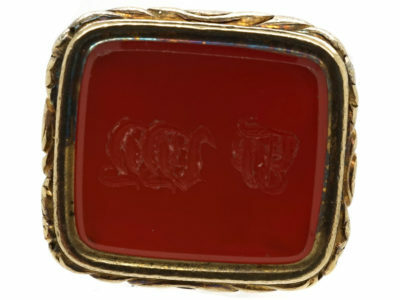 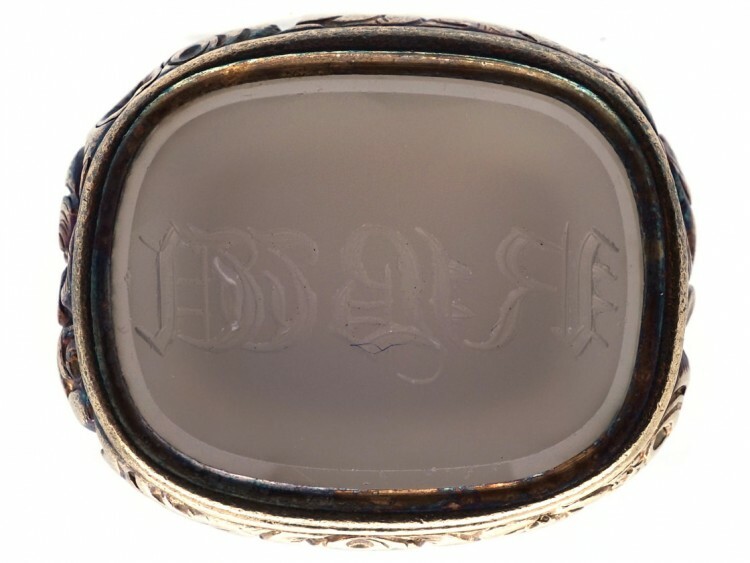 A decorative late Georgian seal with a chalcedony base engraved with the Gothick initials “R B W”. 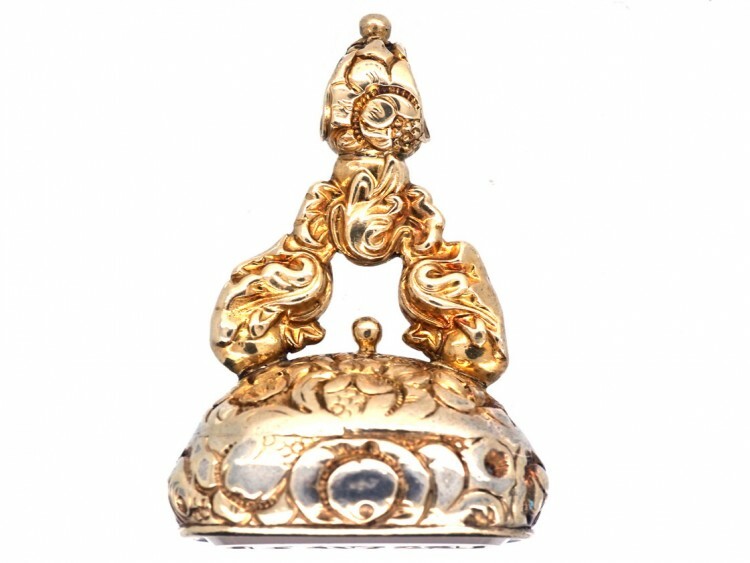 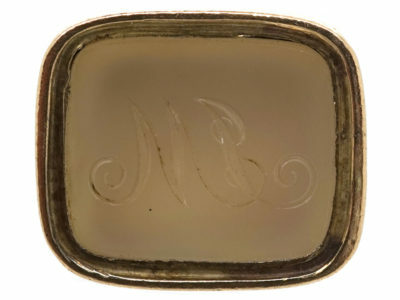 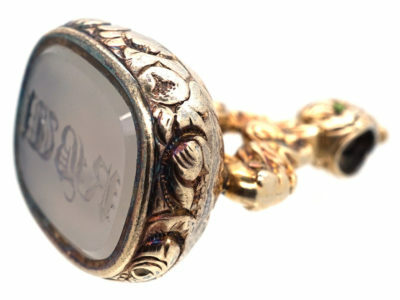 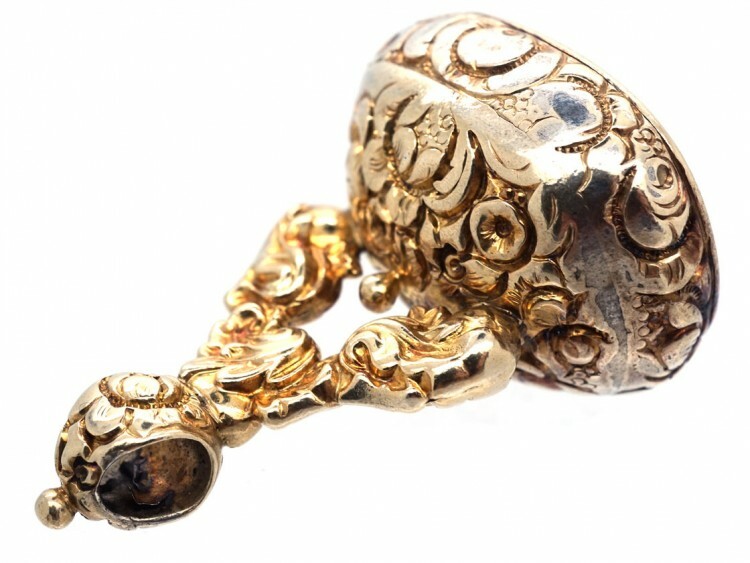 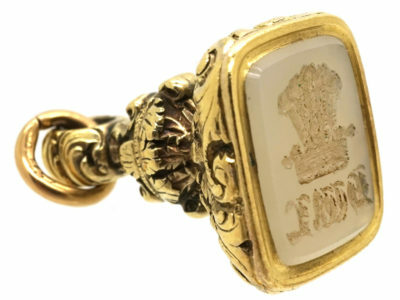 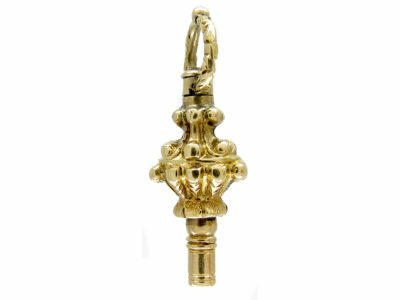 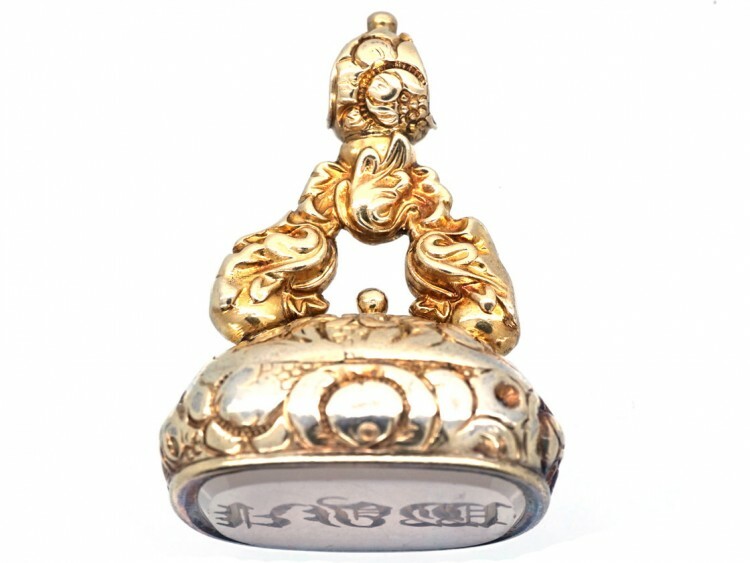 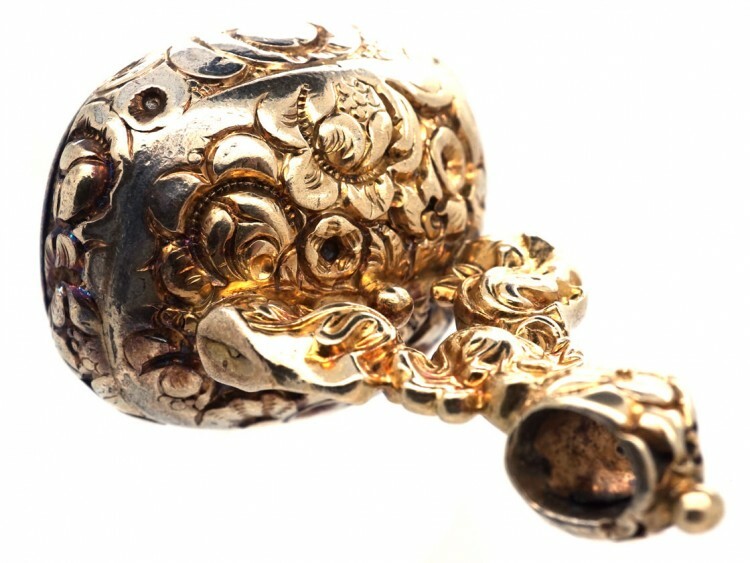 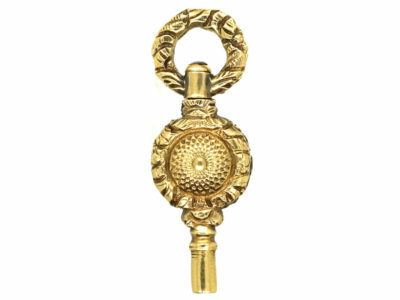 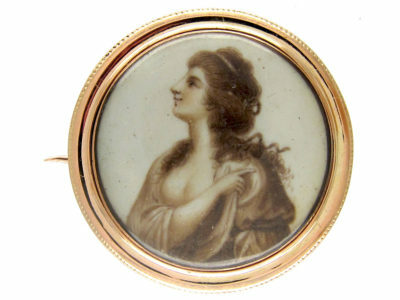 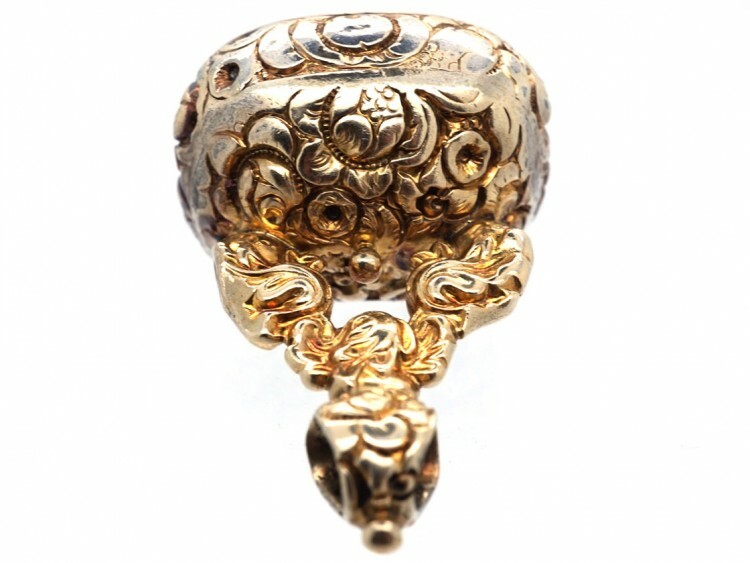 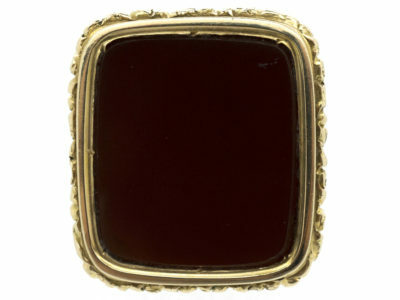 It is base metal and cased in gold and was made circa 1820. 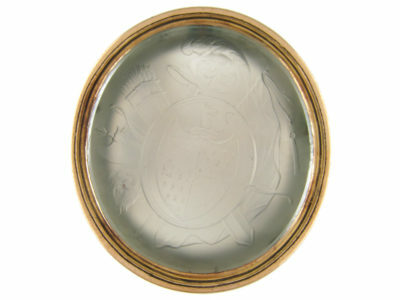 It would look great on a chain with other seals or on its own.